Immerse yourself in French culture on a four-hour small-group tour of Rhone Valley cheese and wine producers. 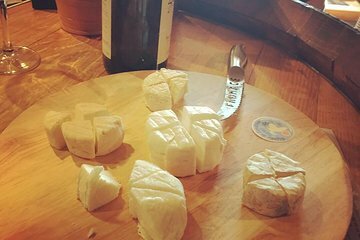 Visit an authentic French farm where you meet local cheese producers and pick up some Rigotte de Condrieu - a subtly flavored goat’s cheese - to sample along with your wines. Next explore the Northern Rhone Valley and taste some of the most loved wines from the region in a picturesque vineyard. Avoid the hassles of driving and navigating and have a classically French experience on this tour. Explore the Northern Rhone Valley’s wine producing region and visit a farm on a small-group tour.